“Good idea said the woman behind the counter.” I knew this was serious. I have always been weight conscious since my beloved grandmother died weighing well over 200 pounds, and she was also 4’11” tall. She used to treat me to hot fudge sundaes after we went to the movies. I remember she used to get on the scale and weigh herself. I asked her what she was doing, (I was too short to see the numbers.) She kindly said, “It’s none of your business.” That was Grandma Christina; always nice to me unless I mentioned her weight. 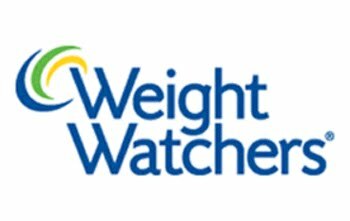 The history of Weight Watchers goes back to Jean Nidetch, a 41-year-old 214 housewife who decided to start her own support groups. In 1963, Weight Watchers incorporated and had their first public meeting in Queens. There were 50 people standing in the wings because Jean had only rented 40 chairs! In 1978, it was sold to HJ Heinz and has continued to support health initiatives in this country. The cheerful group leader was an 85-year-old dynamo that had lost 150 pounds 20 years ago. Actually, she was more like a drill sergeant; I liked her immediately. I thought, what a great job; helping people succeed. After some niceties, the meeting began. You know I was always one of those kids who needed to be first and yell out the answers, and this was the place to do it. The takeaways were right on target. If you need some “pumping up” check yourself into Weight Watchers. You didn’t get fat in one day so don’t expect to get thin in one day. I love this! I would say, success is a process not an event so stay with it. If you fall off the wagon, get back on. One day off won’t kill you. I love the expression: Neither success nor failure is permanent. How much you can eat is determined by how much you weigh and is on a point system. They give you extra points weekly in case you fall off the wagon! Hold yourself responsible and keep track of your goals. Holding yourself accountable, means you’re serious; if you want it, make it happen. Remind yourself of what you have done, not what you haven’t done. Making yourself a victim never helps other than to provide an excuse for yourself. I couldn’t eat all my food points—you are told that you must. I was also told I probably not eating enough of the right foods and then overeating. (In my case, treating vegetables as my major food group.) 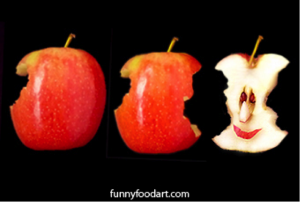 Vegetables are free, eat as much as you like, but you need other foods other than pasta. Not hungry yet and I had corn-on-the Cobb and olives with my oatmeal this morning. So far, so good. Rome also wasn’t built in a day either. Lisbeth Calandrino helps businesses build loyal relationships with their customers through customer service and powerful communication training. To hire Lisbeth for your next event, she can be reached at Lcalandrino@nycap.rr.com.